Starlene "STAR" Pleasant is long time District 8 local and small business owner. 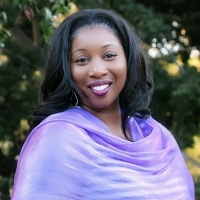 With her professional experience in Insurance, Finance, Adult Education, Health and Wellness coupled with degrees in Ethnic Studies and Liberal Arts exposed her genuine vein of philanthropy. Star believes that knowledge is power and it pays the best interest when one makes an investment in it. As a member of CLIMB, Star's goal is to craft strategies, builds relationships, and implement favorable circumstances to significantly increase concern and awareness in Logan Heights area thus, creating outlets to promote opportunities, take advantage of life improving resources, and significantly maximize the potential of our Logan Heights residents and neighboring community members.